The best vegetable peeler for easy and consistent cuts. Rada Knives make lightweight, comfortable, stainless steel cooking knives. 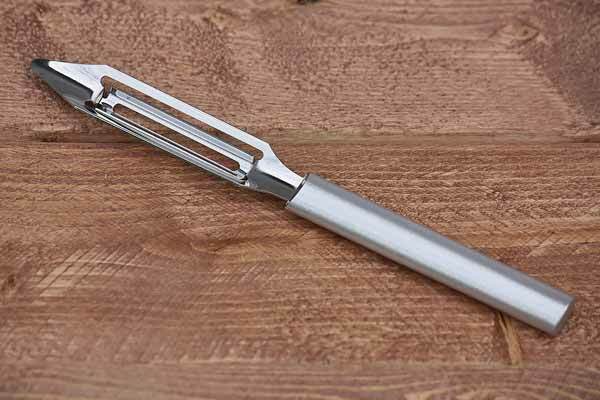 The vegetable peeler proves to be another consistent, quality design. Purchase one today for peeling and processing veggies. View our Peeling And Paring Knife Set for more quality kitchen knives. Rada is the only knife brand I use. They are super high quality and super sharp all for a very reasonable price.